The Florida Department of Education is responsible for determining the eligibility requirements for applicants desiring to become teachers. As part of the qualification process, applicants are asked to take the FTCE (Florida Teacher Certification Examinations) exam in their discipline in addition to the passing the General Knowledge Test and Professional Education Test. Discipline certification exams will have between 90 to 150 multiple-choice questions with some exams requiring essays and/or short open-ended response questions. Most exams consist of one session with a time limit of five hours, but some certifications require two sessions. The FTCE certification examinations are graded on a scaled score system with a range of 100 to 300. This means that the number of correct responses a test taker completes is scaled based on the difficulty of the exam. However, the Florida Department of Education estimates that answering about 70% of the questions correctly will constitute a passing score. At the Mometrix Academy, you’ll find lots of free FTCE practice test questions that can help you prepare for your certification exam. Use the free FTCE practice test questions below to get a better understanding of the FTCE exam. Take advantage of this valuable resource to pinpoint your strengths and weaknesses. Mometrix Academy is a completely free FTCE test resource provided by Mometrix Test Preparation. 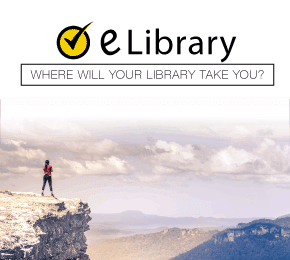 If you find benefit from our efforts here, check out our premium quality FTCE study guide to take your studying to the next level. Just click the FTCE study guide link below. Your purchase also helps us make even more great, free content for test-takers. After long hours of studying and learning everything there is to know about your chosen field, you’re finally being faced with the FTCE, otherwise known as the Florida Teacher Certification Examinations. Congratulations on making it this far! While the idea of taking this exam undoubtedly seems nerve-wracking, the FTCE is an important step to reaching your goals of teaching professionally in the state of Florida. The FTCE is highly extensive, spanning across 47 tests total, all of which cover different and equally important facets of teaching. Before we delve into the exam and what it takes to prepare for it, however, we must first give a rundown of its history. Compared to other standardized tests, the FTCE—as we know it—is fairly recent. The original exam got its start in the year 1980, as a much simpler test than the one administered today—at least in terms of subject matter. While its objectives remained very much the same, the subjects featured on the exam were simplified into professional and rudimentary subjects. Change did not come for the test until one year after the enactment of No Child Left Behind—or, more specifically, in the year 2001. This particular legal act equates the performance of teachers within schools to the amount of funding said schools receive from the government. This means that every teacher must demonstrate ample knowledge of their chosen field, as well as possess all the necessary degrees and certifications. The FTCE was broadened in response to the No Child Left Behind act, and now is made up of 47 sections across three examination categories. 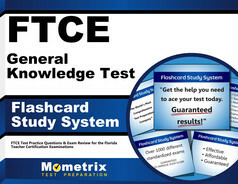 Both the past and present versions of the FTCE cover all possible grade levels within the Floridian school system, and is required for all aspiring teachers under each school division. By preparing to take the FTCE, you are already well on your way to getting the certification you need to be a teacher. We know you’ve worked hard to make it to this point, which is why we encourage you to approach studying for this exam with as little nervousness as possible. We at Mometrix Test Preparation want to see you succeed and are prepared to give you all the tools necessary to ace this important exam. Within this overview, you will find an extensive description of the FTCE, including its contents and how you can thoroughly prepare for each part of it. The important thing is to approach your studying calmly and allow yourself as much time as possible to prepare. The FTCE is administered on a cycle of at least six times throughout the year. This means you can plan out your testing schedule well in advance to allow yourself as much time as you need to study. How Does the FTCE Work? While all Floridian teachers will have to take the FTCE in order to teach, the good news is you won’t be expected to take all 47 exams. Rather, you will more than likely have to take only three exams total: an SAE (or Subject Area Examination), the Professional Education exam, and the General Knowledge exam. For simplicity, we will go over only these three parts of the FTCE—what they are, how they are formatted, what you can expect to find on them, and how you can approach them come test day. We cannot give extremely detailed information on this section of the FTCE simply due to its nature. Its purpose is to evaluate how knowledgeable you are about your chosen field in order to make sure you are qualified to educate students in it. Naturally, the type of Subject Area Examination you take will depend on your field of expertise. Your test will easily vary in length based on the subject you’re testing for, as well as the amount of time allotted to you. Regardless of which subject area exam you’re taking, we have a few tips to help as you begin the studying process. You should always give yourself a brief review of every aspect of your specific subject before you begin studying formally. Make note of any areas that confuse you or don’t sit firmly in your memory. These will be the best places to start as you study, as these will be the areas where you need to invest the most attention. Take advantage of practice tests and study guides, which you can easily find on our website. Eventually, as you become more familiar with your weaker subjects, you can gradually incorporate other subjects you’re stronger in as part of a more formal review. Following these tips should give you a better sense of the Subject Area Examination when test day arrives. Compared to the other exams featured on the FTCE, the Professional Education exam has a slightly different purpose. While it is still meant to gauge what you know, its intent is not to judge whether you’re prepared to enter the teaching field as a professional but how much you know about teaching and educational practices and which areas, if any, in which you still need to invest more work. Think of it as an evaluative rubric. The general exam goes over all of the basic elements of teaching, which you have undoubtedly learned while taking your certification courses. This will include how to teach and encourage reading within your students; how to organize lesson plans; how to approach and best teach ESL courses; how to create a constructive and beneficial environment for one’s students to learn in; the various ethical practices that all educators must adhere to; how to properly communicate with one’s students during teaching sessions so that material gets across easily and effectively; how to keep bettering oneself and one’s teaching style to keep up with the demands of the industry; and how to gauge oneself in terms of how effective one’s teaching is in terms of what students are taking away from it. These subjects are likely all familiar to you. It will now be up to you to demonstrate your knowledge of each of these subjects. Every question on the Professional Education exam will be of multiple choice format, with no more and no less than four answers to choose between. Much like any test you’ve taken so far, there will always and only be one right answer. Due to the complexity of the exam, you will receive 2.5 hours to finish this exam. It spans 120 questions in length. Prior to taking the exam, you may want to go over the various subjects featured on it in more depth. Read about them and what’s being expected of you, and (again) make note of whichever subjects you don’t feel confident with. As with the SAE, your shakier subjects will be where you want to pour most of your initial focus when you begin studying. Brush up on what you’ve learned with the help of your notes and various other resources, such as study guides and practice exams. The latter two resources should help you by way of familiarizing you with the exam and giving you a deeper glimpse of any areas you currently struggle with. As always, you will want to closely read the questions featured on the exam as carefully as possible. Each question is framed so that you will receive important information from them which will help you in finding the answer. Keep the context of the question as well as your choices. Recognizing exactly what is being asked of you and using the process of elimination to get rid of obviously incorrect answers will be important to your success. 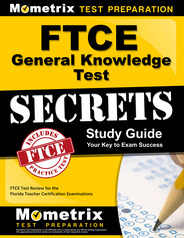 The General Knowledge Exam is perhaps the most basic component of the FTCE. As implied by the name, the General Knowledge Exam assesses your capabilities with the very basics of teaching by going over materials you likely already learned much earlier on in your academic career. The General Knowledge Exam splits into four sections: an Essay, then Mathematics, Reading, and Language. Save for the essay, the exam is multiple choice in format. 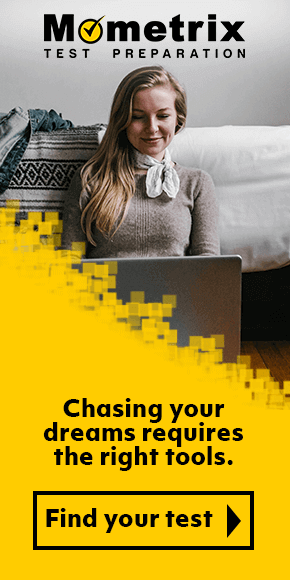 You will be given over four hours to finish the exam—specifically, over three hours for the multiple choice section and 50 minutes total to write out your essay. As stated above, the multiple choice section of the General Knowledge Exam is comprised of three specific subjects: Mathematics, Reading, and Language. While the subjects differ, the formatting of every question remains fairly uniform. You will be expected to read questions for each subject, then pick your answer. You will typically be given no less than three and no more than four answer choices. The amount of questions for each subject varies. For instance, the Mathematics multiple choice section spans 45 questions, for which you will be provided over an hour—or 100 minutes—to solve. The Reading section spans 40 questions and comes with a 55 minute time limit. Finally, the English section has 40 questions and a time limit of 40 minutes. Regardless of the section, you want to be sure to read the questions and answer sets as thoroughly as possible. While the subjects on the exam are very similar to what you’ve seen before, you don’t want to become so comfortable that you wind up making careless mistakes. It is worth noting that you are more than allowed to use a calculator on the Mathematics section of the General Knowledge Exam. However, you cannot bring your own. Rather, you will receive a calculator at the testing site. In addition, you will receive a sheet containing formulas and other mathematical elements to help you throughout the exam. It will be your job to know how to best take advantage of these helpful tools. Brush up on the formulas, what they mean, and what types of mathematical problems they are best suited for. Learn which problems benefit the most from using a calculator, and save it for those particular problems. No matter how familiar you are with a certain subject, you want to be as careful and thorough as possible. Go back and review the exam section you’re on after you have finished to check whether you’ve filled in every question. As you study, you must remember that you only have so much time to finish the sections. You do not want to waste too much time solving one problem when there are easier ones you can tend to first. This goes for any section of the test beyond Mathematics. If you are struggling with a question, do not linger and mull over it. Rather, move on to other questions that are easier for you to answer, and come back to the difficult one later on, if you still have time. Try getting rid of any answers that do not make sense in comparison to the question’s context, then weigh your options between potential right answers. Again: you don’t want to spend too much time on one question. While it may seem counter-intuitive to guess the answer on an exam this important, it’s far better to guess and chance getting the right answer than not make an attempt and lose out on valuable points. While the essay portion of the General Knowledge exam is the shortest in terms of your time limit, the skills you will be expected to demonstrate and the overall format of this exam section are much more difficult than any other section. For starters, you will be presented with two prompts and have to choose one to answer. One of the most important elements of acing this portion of the General Knowledge Exam is to structure your essay well. You want to have as sound an argument as possible with plenty of evidence to back your argument up. You will need no reference materials to answer the prompt other than your own knowledge and memories. Anecdotes will work perfectly fine as evidence because the topics will be kept fairly broad and related to current affairs. As you write, keep in mind whether everything makes sense and lends back to your main assertion. Consider exactly where you stand on the topic before you begin to write it, so that you can make your thesis sentence as strong as it can possibly be. Because you will only have 50 minutes to complete this subtest, you must use your time wisely. Outline if you need to, but keep it short and simple. The finished essay is more important than a perfectly drawn outline, so you should just be sure to make notes on how you will organize your ideas. You don’t need to get too in-depth. You should also be sure to set aside time to proofread over your entire essay. You want the final product to be coherent and succinct. Check for spelling and grammatical errors, as well as any nebulous sentences that may harm your argument. How Does Scoring Work with the FTCE? When you first register to take the FTCE, you will have to make an online account to keep track of your information. After you finish the exam, you will be able to find your scores on the official FTCE website under your account. Your scores will be made available several weeks after you complete the exam, with a usual range between four and six. For two months, or 60 days, you will be granted complete access to your exam score to do whatever you wish. You must earn no less than 200 points on the multiple choice portions to pass. The essay section featured on the General Knowledge exam is a bit different in its numbering, with a score range between one and six—six being the highest possible score you can achieve. It is worth noting you may or may not be given a specific number on the report. Rather, you will simply be told whether you failed or passed. You will generally only see a number for when you have failed an exam section. If you pass the exam, congratulations! You are now ready to move on to the next phase of your teaching education and career. If you failed any sections, there’s no need to fret. You can go on to retake the exam (or a portion of it) within a month after your original testing date. In the meantime, you should invest this interim period in studying the subjects that tripped you up, which will be outlined in detail through the provided score report. We have plenty of tools to help you as you study for the exam, whether this is your first take or a retake.